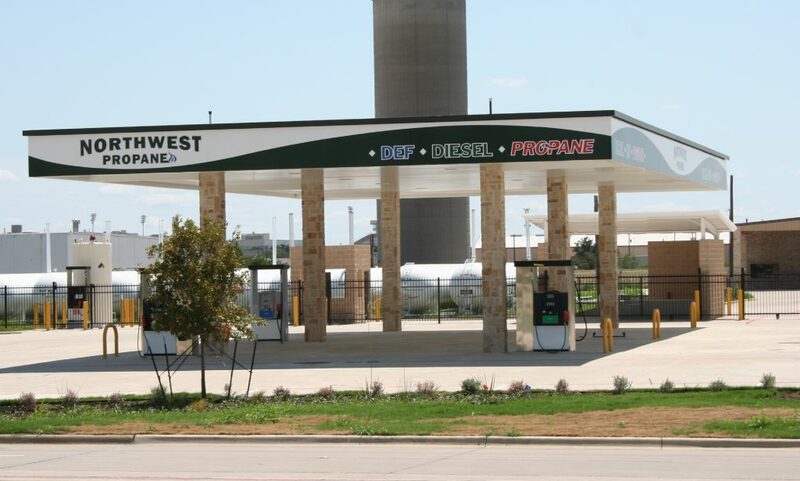 Northwest Propane designs and installs propane Autogas refueling stations across Texas and surrounding states. Commercial, state, and local governments, as well as school district fleets using propane Autogas, prefer working with Northwest due to our 50+ years of propane system design, installation, and ongoing support. Whether you just received your first propane-powered vehicle or you operate a fleet of 1,000+, Northwest has the experience necessary to support your operation with the safest, most user-friendly, modernized propane Autogas refueling systems made. We offer creative programs specifically customized to meet your fleet’s current and future refueling needs, all while minimizing fuel pricing and maximizing all available local, state, and federal grant funding opportunities. Multiple options exist for leasing, leasing to own, or outright purchase of our propane Autogas refueling systems. Is your fleet going to continue expanding its propane Autogas program? Is the system you are having quoted expandable to support that future need? Will a 1,000-gallon tank with a skid-mounted dispenser adequately meet your fuel needs, or do you need a 30,000-gallon storage tank with a separate refueling island? These are just a handful of the questions our design team is prepared to address with you. Contact Northwest Propane today for a free propane Autogas fleet refueling consultation. Call 972-247-6121 today for more information.